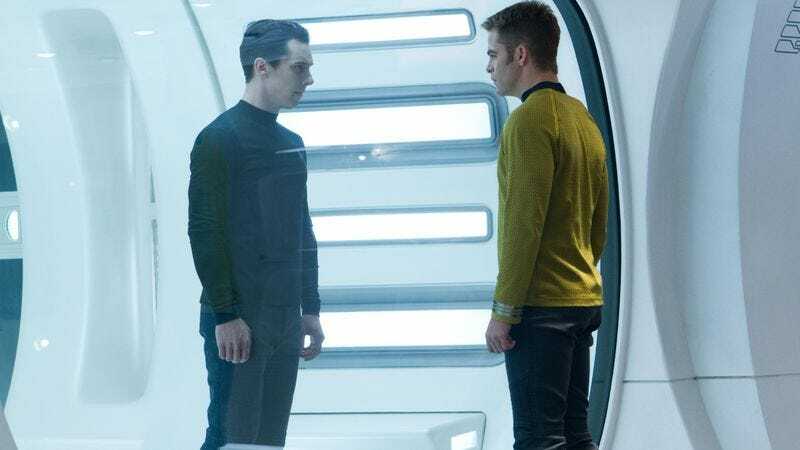 Fans flocked to Star Trek Into Darkness this weekend, determined to outrace the energy ribbon of spoilers rolling through the universe and ruining the surprise that Benedict Cumberbatch plays late Sinatra lyricist Sammy Cahn. (“You’ve got high hopes, Captain. High, apple-pie-in-the-sky hopes,” a wrathful Cahn growled before several million moviegoers this weekend, then fired his apple-pie torpedoes.) And yet, even though J.J. Abrams’ sequel has already brought in $84.1 million since it opened last Wednesday—easily topping the box office—its performance is still considered a relative disappointment, given that its predecessor managed $86.7 million in the same timeframe. Another, more obvious reason: Competition from Iron Man 3, which ratcheted up to a $337.1 million total stateside—and passed the $1 billion mark globally—to further affirm its place as Marvel’s second-highest grossing film after The Avengers, and move it one step closer to usurping The Dark Knight Rises on the list of highest-grossing U.S. films of all time. And, to a lesser extent, competition from The Great Gatsby, which fell more than 50 percent to third place, but still took a respectable $23.4 million on a weekend dominated by more obvious summer fare. Gatsby’s capitalizing on audiences who wanted a sort-of-smart, sort-of-adult alternative to superheroes now appears to have been a wise programming move. Speaking of sort-of-adults, Noah Baumbach’s twentysomething coming-of-age tale Frances Ha did very well in limited release, taking in $134,000 on just four screens to nearly match the opening of Greenberg. Considering the latter had the name recognition of Ben Stiller, and Frances Ha relies entirely on Greta Gerwig’s charms, that’s pretty impressive. Fellow indie newcomers Pietà, The English Teacher, and Becoming Traviata didn’t fare nearly as well, each of them only taking around $6,000 to round out the very bottom of the list. Expect to see all of these vanquished during the looming Memorial Day weekend, when arthouses become dominated by those two cinematic meditations on the cyclical inevitabilities of life known as Fast & Furious 6 and The Hangover Part III.